'Elmer's Web' (Lorna Morrison, R. 2001. Seedling R-11-15. TB, 37" (94 cm), Midseason bloom. 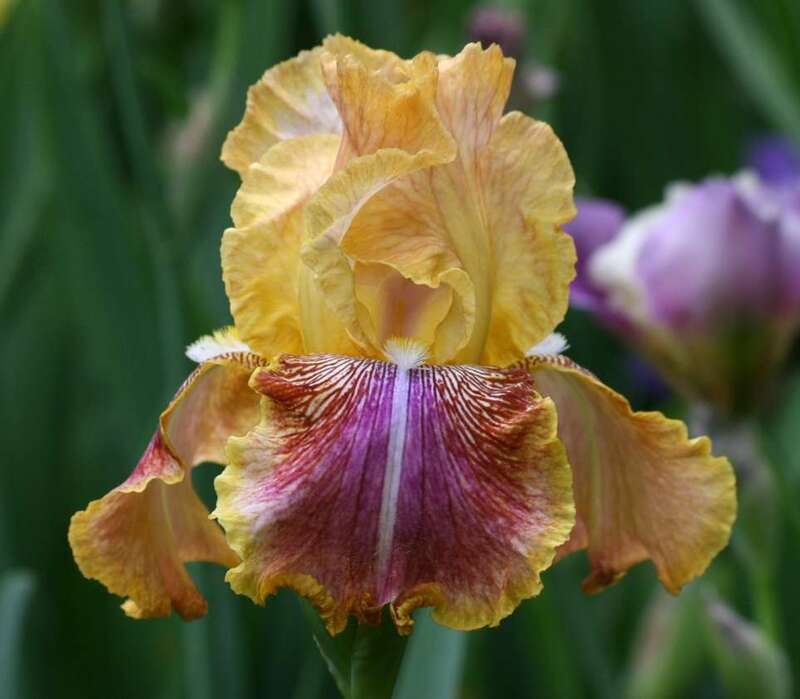 Standards gold, slight red in veins; style arms yellow; falls yellow overlaid violet, maroon webbing at sides, center stripe white, laced and ruffled yellow border; beards white at end, yellow, orange in throat; slight spicy fragrance. 'Spring Parasol' X unknown. Sand Hollow 2002.
jpg IMG_2392-X2_elmers_web.jpg manage 193 K 17 Feb 2016 - 04:20 BrockHeilman Please contact Brock Heilman for image use.